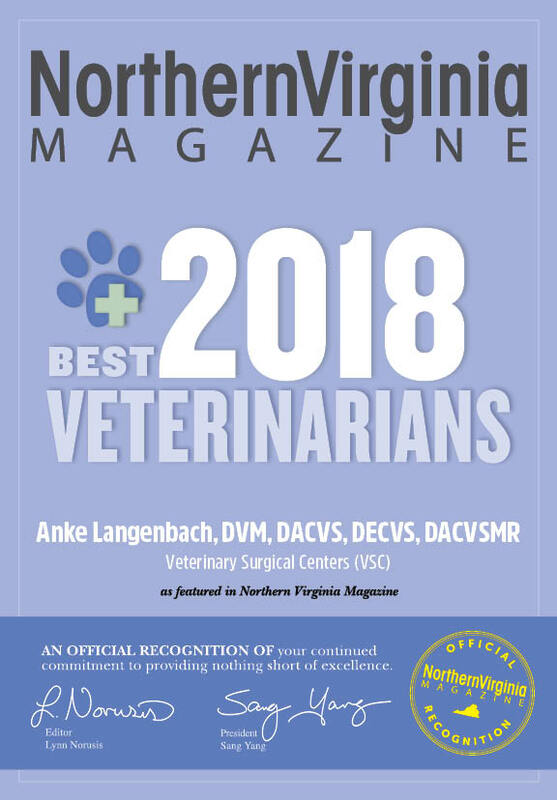 Dr. Anke Langenbach, owner and chief of surgery, is a Diplomate of the American and European Colleges of Veterinary Surgeons. She earned her Doctorate of Veterinary Medicine in 1992 from the University of Munich, College of Veterinary Medicine in Germany, and was awarded a scholarship to pursue a combined American and German education. She spent most of her third year of veterinary school at Kansas State University and part of her fourth year at Ohio State University, Cornell University, and Animal Medical Center of New York. After receiving her veterinary degree, she continued her studies with a one-year internship followed by a three-year residency program at the University of Pennsylvania, School of Veterinary Medicine. During her residency, she completed a doctoral thesis with the University of Zurich, Switzerland, on Medical Patellar Luxation and Hip Dysplasia in Cats. With her residency finished, she accepted a lectureship position with the University of Pennsylvania.